Don’t waste your money on garden tillers that aren’t suitable for the type of soil that you’re working with. If you go cheap when you make your purchase, there’s a good chance that the tiller isn’t going to last that many gardening seasons and you’ll be back to square one. Do your research from the beginning and plan your purchase according to your gardening needs! Garden tillers are often used by jobs that require a little more “gusto”. Most tillers are used to help break up the soil to get it churned and prepared for planting a garden. Our garden tiller review will cover types, features and uses to consider when purchasing the best garden tiller. When it comes to buying garden tillers, there are two types that you need to be aware of: Front-tine tillers and Rear-tine tillers. Front-tine tillers. Typically used for smaller gardens, the front-tine tiller does a great job of properly preparing the soil and helping to get rid of the weeds before the start of planting. Many front-tine tillers go forward but there are some that can go in reverse as well. Rear-tine tillers. Built and created to help prepare and prep larger garden areas, the rear-tine tiller does an amazing job at breaking up the soil that may need a bit more work. 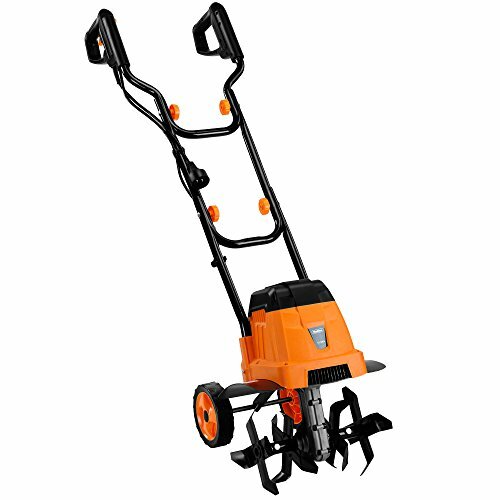 If you don’t already have a garden spot chosen and prepared, this is also the type of tiller that you’d want to use since it has a lot more power to get the job done. It was made to really dig deep to help break up and churn up that old and new soil. Don’t forget that not all garden tillers are created equal. Depending on the need, you can get certain features (or not) for your garden tiller. Easy start motor. Most tillers come equipped with an electric, easy start motor taking away the worry of having to struggle to turn it on and off. Easy to use controls. When tilling in the garden, you don’t want to become distracted by controls that you can’t find or see. Buying a garden tiller that has these options front and center for ease of use is important. Adjustable handle. We are all different heights, right? Consider trying to find a garden tiller that allows you to adjust the handle to whatever works for you. When you’re spending the day, walking around and pushing it through the dirt, you’ll be happy to be able to have it custom for you. If possible, you’ll want to find tines that are made of stainless steel to cut through that dirt. The stronger the tines, the better because they will be working overtime chopping up anything that’s hiding in that soil. 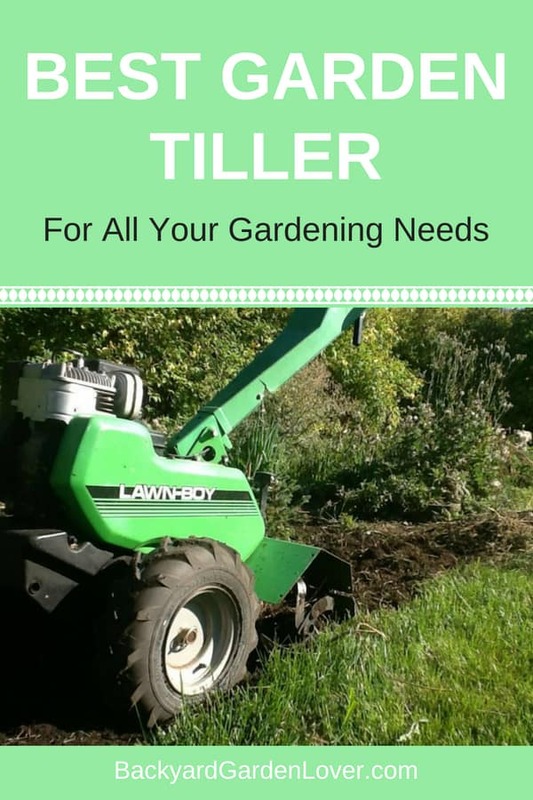 Now that you have an idea of the best garden tiller features to look for, it’s time to see which garden tillers top the list! 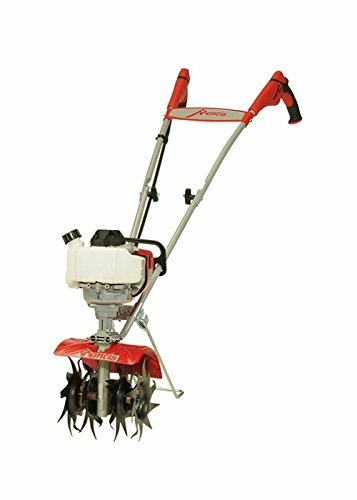 Sun Joe TJ603E 16-Inch 12-Amp Electric Tiller and Cultivator The Sun Joe 12-Amp Electric Tiller and Cultivator comes equipped with 6 steel tines for top performance and durability. It has a 100-foot electric cord that provides a good length to be able to plug in and use for your garden and tilling needs. With a simple push of a button, you’ll be tilling the weeds away in no time. The added rear wheels make it easy to guide and turn and it folds up nicely to store and not take up a lot of room. Weighing less than 30 pounds, it’s easy to push and guide with ease. Keep in mind that it does have to be plugged in the entire time that you are using it, as it doesn’t have a rechargeable battery option at this time. Ideal for smaller spaces that are close to an electrical outlet or pole. 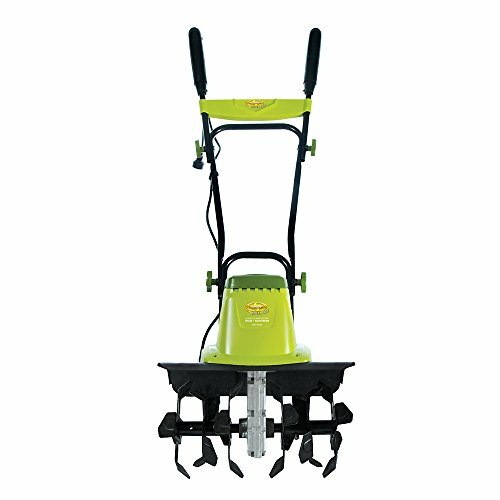 Powerful enough to dig through dirt, this garden tiller should have no issues with digging up a nice gardening plot. Mantis 4-Cycle Tiller Cultivator 7940 Powered by Honda – Lightweight, Powerful and Compact – No Fuel Mix, Sure-Grip Handles – Built to be Durable and Dependable Powerful and lightweight, this tiller cultivator may be just what you’re needing to tear through that tough garden soil. Do twice the work in half the time with the fast spinning engine that requires gasoline only. Weighing in at only 24 pounds, it isn’t a huge hassle to work the tiller throughout your yard or garden. It’s literally one of the lightest tillers that you can buy that packs a ton of power! You control the speed of the throttle with the use of the finger control, and when you aren’t using it there’s a kickstand that you can set it upright on to stay until you need it again. The curved blades of the Mantis allow you to dig up to 10 inches deep with ease and the way that they are designed are backed with a breakage lifetime guarantee! If you break them, they’ll replace them! Foldable handlebars make it super easy to compact down for storage and can be shipped anywhere in the US. Earthwise TC70025 7.5-Inch 2.5-Amp Corded Electric Tiller/Cultivator Affordable and designed with you in mind, Earthwise Tillers are lightweight, compact and super simple to use. When it comes to finding a tiller that works well for what you need, frills aren’t always better! 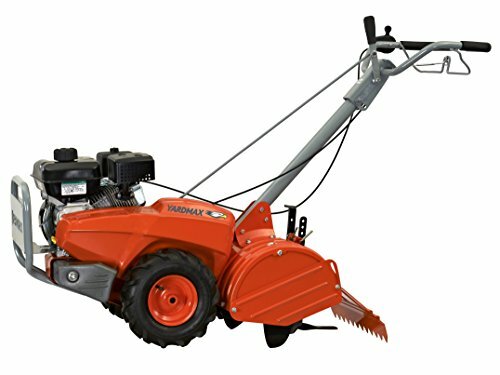 Coming in at under $100, this tiller is a powerhouse for the price! Ideal for small gardens or raised beds, you’ll love the maneuverability of strength that it offers. Weighing less than 10 pounds, it offers the ease of carrying it without the worry of getting worn out. YARDMAX YT4565 Dual Rotating Rear Tine Tiller, 208Cc, Briggs & Stratton Powerful and offering an adjustable tilling width, this tiller can tackle large plots and areas of land with ease. The handlebars offer easy adjustment to make your tilling time as comfortable for you as possible. The self-propelled front tine does a great job of breaking up the hardest of soils and can fit and turn easily into smaller spaces as well. It’s not often that you can find the reliability with the ease of use all packed up in one nice, neat garden tiller. Created with a powerful engine, there isn’t anything that this tiller can’t work through. Plus, with it’s rust resistant shields, you can rest easy knowing that it will look just as good as the day you bought it, no matter what type of work you put it through. One of the best features is that it arrives at your home already 95% put together as well. 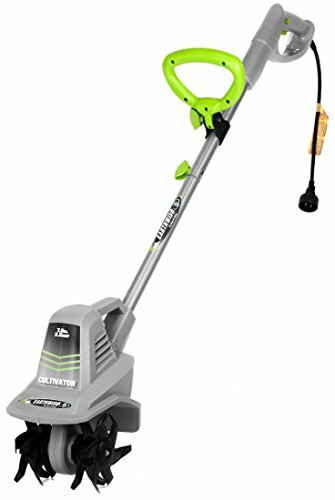 VonHaus 12.5-Inch 7 Amp Front Tine Garden Electric Tiller Lawn Cultivator If you’re looking for a garden tiller that can till wide and deep, the VonHaus electric garden tiller won’t disappoint. It can till 8.6 inches deep and 12.5 inches wide making your gardening work a breeze when you don’t have to double till or dig those gardening rows. A good hand grip is important when tilling and this VonHaus garden tiller offers a double hand grip so that you can control the movement of the tiller with ease. It also puts less pressure on your hands and arms as well. 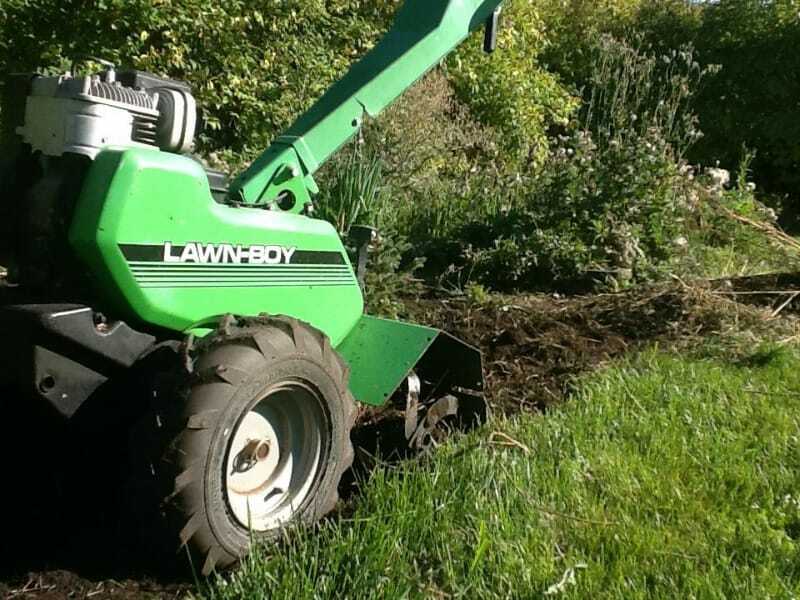 No need to pre-weed with the use of this tiller because it should be able to till right over all the grass and weeds that may already be growing there. While it can handle larger areas, it’s a better idea to use this power on smaller gardens to get the most effect. Before deciding the best garden tiller for you and your garden, take the time to read the reviews and options above. Once you educate yourself on your needs based upon the size and soil of your garden, you can then rest easy knowing that you can purchase the perfect tiller for you and your garden.